We bring forth for our customers a wide range of Polyfill Wadding that is primarily, loose polyfill synthetic fibers that are used for in filling/ stuffing or interlining home furnishing items. Appreciated for its superior quality, being safe, non-irritating and nontoxic, form an economical solution for developing the home furnishing range. Our products are especially designed to give comfort and warmth, easy to handle and environment friendly. Hi Loft Wadding is an excellent replacement of foam and gives good bounce and cushioning effect since it has almost 80% air. 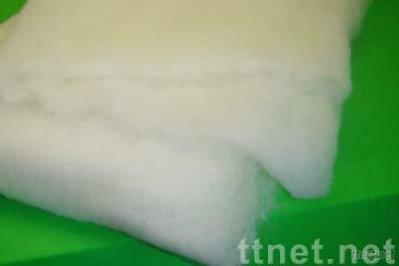 Our Polyfill Wadding is extremely durable and is offered at competitive prices.